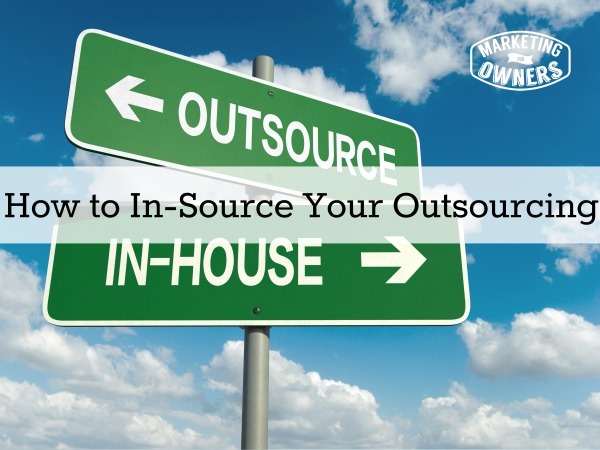 Outsourcing is one of the key ways for your business to be successful. Why? Because you get to multiply and leverage your time by delegating your tasks to those around you. Richard Branson doesn’t fly his airplanes or drive his trains, and I’m pretty sure that he does not sign up mobile phone contracts. Those things that he is in charge of, he delegates to his staff. It might be on a big scale, and you might think: “How does that compare to me?” Seriously, think about it. Successful people don’t do all the work themselves, they have to outsource. There are all kinds of ways to outsource and that is what I am going to help you discover in today’s podcast. I talk extensively about the tools I use and the sites that help me do what I do, like Freelancer, Elance, oDesk and Fiverr. There are many others out there that I have never used, but the ones that I just mentioned are the big ones. These sites help you to outsource project by project. If you listen to Chris Ducker recently from his podcast and his website, you will understand all about the importance of outsourcing. He owns a very large outsourcing company in the Philippines and he provides loads of employees for people in the United States and UK and all over the world. Then, of course, he employees fantastic people in India because they are so talented and the prices and cost living is so low that it makes it very affordable. You can get a high tech computer literate employee for less than what it would cost to hire a cleaner in the UK. They’re fantastic and so dedicated and they work great hours. All these things scare a lot of people because they are not used to using this type of resource. It’s okay — it works. Let’s look at another way of doing getting your workload accomplished –in-sourcing. In-sourcing works just like outsourcing, except you are going to use the employees you already have in place. Outsourcing is at the core, delegating tasks and projects to someone else outside of your business. But, with in-sourcing, you can delegate your tasks and projects to someone that already works for you. They may be doing something else, but you can delegate them to one single project in exactly the same way that you would delegate it to someone on Freelancer. What about hiring a local work-at-home mom? As I’ve mentioned before, those work at home moms are highly talented women that used to be employees at high end careers. Many of them decided to work from home to bring up their children but a lot of these moms want part-time work. They can work from home and they can come into your office. Look around, put an ad in the local news agency or store or the local paper. See what comes up, you do not have to outsource a long way away from your business. You can outsource one of these jobs by the project if you don’t want to hire someone for long term. Just say: “I will need you for roughly 3 weeks.”, or “I’ll need you for one single project.” The hours can be agreed upon between the two of you. It doesn’t have to be far. There’s no excuse. You should really try this out. It will seriously help you get some tasks completed that you have been procrastinating on. Once you’ve delegated your first project, don’t be a control freak about it. Instead of taking the project away from the person you hired to do it, teach them the right way and then back off and let them do the job you hired them to do. Give them time and when you do delegate a project to somebody, do not tell them exactly how to do it. If you do, you don’t give them a chance to shine or to excel or to use their initiative. Leave some room for initiative, and don’t box them in. That is very important. I learned this by asking questions of people that I had hired in the past. Many, many years ago, I thought I was good at delegating tasks, because I gave them so many instructions on how to do it. The problem was, though, I did not give them a chance to do the work themselves. I tried to take it over. Today, I want to give you a fun drive time podcast to listen to. These are the guys from Fizzle. The guys behind Fizzle are Corbett Barr, Chase Reeves and Caleb Wojcik. They teach entrepreneurs how to get on online. They have a lot of things going on at their website. It is a membership site, but the are pretty funny. They are from the USA and they’ve been around for a while. Their podcast is really enjoyable. Some of these business ones are hard to get through. You listen to interviews, and they’re great and you learn, but these guys are funny. Go check them out! iTunes You’ll enjoy it.